Is Shade 83 (Cream Soda) right for you? Garnier Nutrisse Medium Golden Blonde 83 (Cream Soda) has soft golden tones that will warm up your natural color for a radiant result. It provides 100% gray coverage and is best for anyone with natural hair between light blonde and light brown. If you would like a lighter shade that still reflects with golden tones, shade 93 (Honey Butter) might be for you. For a darker, yet similar result, try shade 73 (Honey Dip). If you would like to remain in the medium blonde range but would like to explore other reflects and tones, shade 80 (Butternut) or 82 (Champagne Fizz) might be for you. *For women with currently color treated hair, there are special considerations for the color result you can achieve. Because of this, we do not recommend shade 83 (Cream Shade) for hair that has been previously colored Light Natural Brown 60 (Acorn) or darker. For more help, use our Shade Selector Tool to find the perfect shade for you! Nutrisse Colorant: Aqua/Water, Cetearyl Alcohol, Propylene Glycol, Deceth-3, Laureth-12, Ammonium Hydroxide, Oleth-30, Lauric Acid, Hexadimethrine Chloride, Glycol Distearate, Polyquaternium-22, Ethanolamine, Silica Dimethyl Silylate, Ci 77891/Titanium Dioxide, P-Aminophenol, M-Aminophenol, Ascorbic Acid, Sodium Metabisulfite, 2-Methylresorcinol, 2-Methyl-5-Hydroxyethylaminophenol, Dimethicone, Pentasodium Pentetate, P-Phenylenediamine, Parfum/Fragrance, Carbomer, Resorcinol, Vitis Vinifera Seed Oil/Grape Seed Oil. F.I.L. D35236/3. Fruit Oil Concentrate: Paraffinum Liquidum/Mineral Oil, Vitis Vinifera Seed Oil/Grape Seed Oil, Parfum/Fragrance, Tocopherol, Rosmarinus Officinalis (Rosemary) Extract. F.I.L. D25829/5. 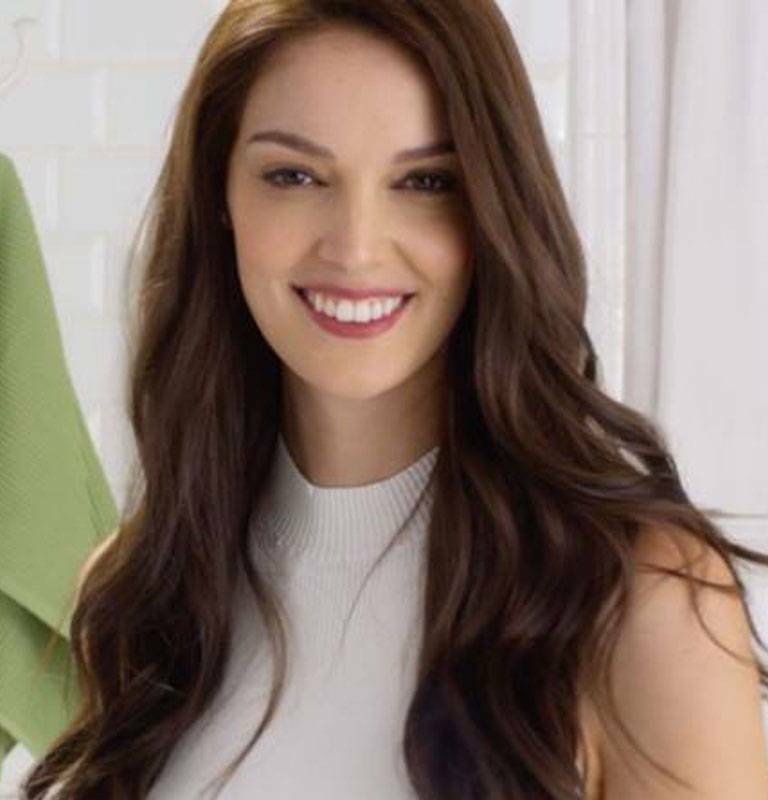 Rinse-Out Conditioner: Aqua/Water, Cetearyl Alcohol, Elaeis Guineensis Oil/Palm Oil, Behentrimonium Chloride, Pyrus Malus Extract/Apple Fruit Extract, Glycerin Parfum/Fragrance, Stearamidopropyl Dimethylamine, Niacinamide, Pyridoxine Hcl, Butyrospermum Parkii Butter/Shea Butter, Citric Acid, Olea Europaea Oil/Olive Fruit Oil, Saccharum Officinarum Extract/Sugar Cane Extract, Benzyl Alcohol, Chlorhexidine Dihydrochloride, Persea Gratissima Oil/Avocado Oil, Ribes Nigrum Oil/Black Currant Seed Oil, Linalool, Citrus Medica Limonum Peel Extract/Lemon Peel Extract, Ci 19140/Yellow 5, Camellia Sinensis Extract/Camellia Sinensis Leaf Extract, Ci 15985/Yellow 6. F.I.L. D35637/3. Nutrisse Developer: Aqua/Water, Hydrogen Peroxide, Cetearyl Alcohol, Trideceth-2 Carboxamide Mea, Ceteareth-25, Glycerin, Pentasodium Pentetate, Sodium Stannate, Tetrasodium Pyrophosphate, Phosphoric Acid. F.I.L. D12836/26. Rated 4 out of 5 by emhays from This is my go-to brand for box dying my hair at home. The color definitely lightens your hair if you have a light enough brown/brunette base. I use it for touch-ups every 6 months or so, and haven't gone to the salon in years for highlights. My hair has now become significantly lighter than when I started, but I have some issues with even color in the very back. Rated 5 out of 5 by anggg from It was the first time I tried this color and I absolutely love it. I dye my hair from time to time and it doesn't even look damaged. It's nice and shinny and a absolutely beautiful color. Rated 5 out of 5 by n99s10a from One of My favorite hair dye brand happens to be like Garnier and whenever I shop anything from Garnier collection I get this one for sure this dye suits me best . I normally don't bleach my hair since I've got pretty dark brown hair to lighten that up I use this and it works wonders for me do give it a try. Rated 3 out of 5 by hunnipot from Any time I color my hair with this brand I get full coverage without feeling like my hair is left too damaged. It’s extremely easy to follow the instructions. This is usually my go-to brand although I don’t have a consistent color I go to. Rated 2 out of 5 by abbyb4 from I usually love Garnier products especially their scents.but I wasn't completely satisfied with this product. I prefer to have a foam for application it has better coverage and less of a mess during the application process. The color came out a little darker then anticipated. Rated 4 out of 5 by missii from I have previously used this color before and it is very pretty. I gave it to my mom and she loves the color! 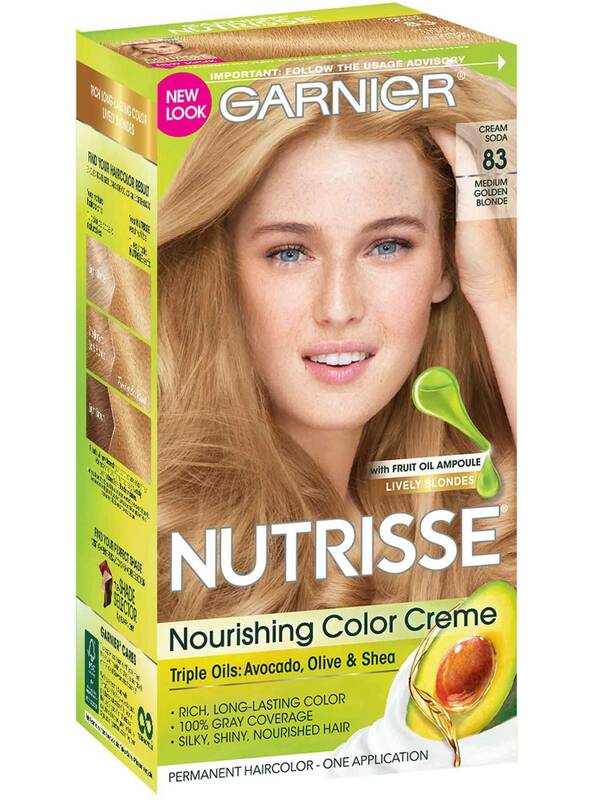 Rated 5 out of 5 by brittbrittdevillers from I have used Garnier Nutrisse before and I love the product! It always comes out so vibrant and does not dry out or fry your hair!! 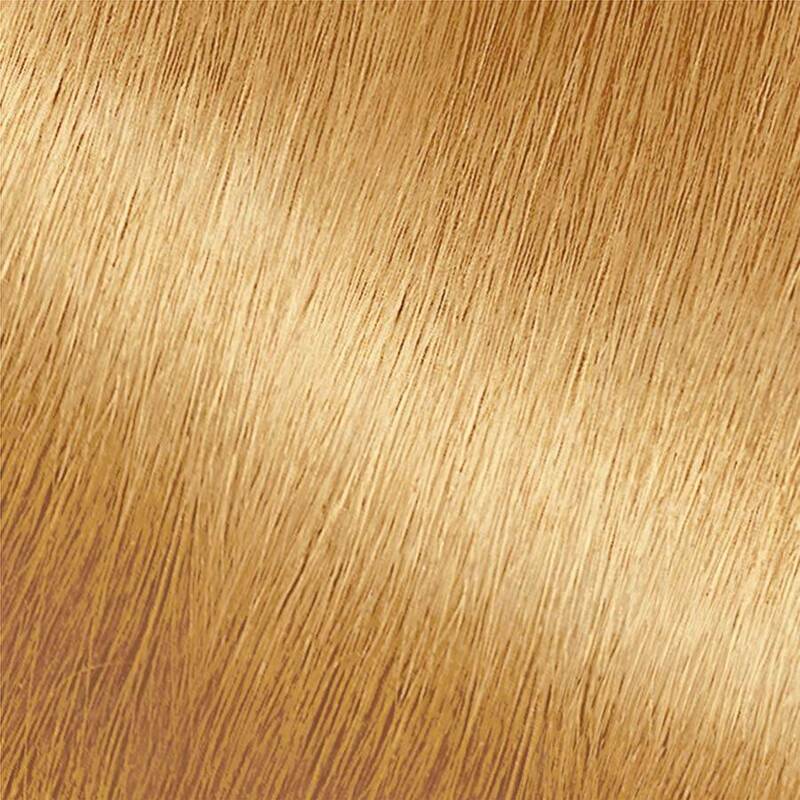 I just did my hair before I got this one in the mail but, I can not wait to be able to try this medium golden blonde! !